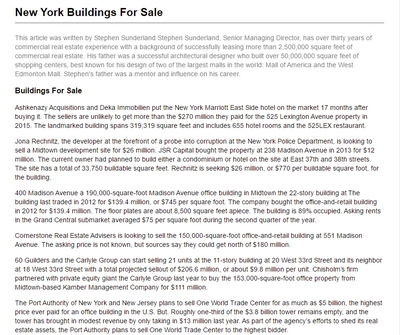 At a recent real estate conference, Vornado said that retail and high end office rents are having a negotiable factor of between 25 and 50% of asking prices. 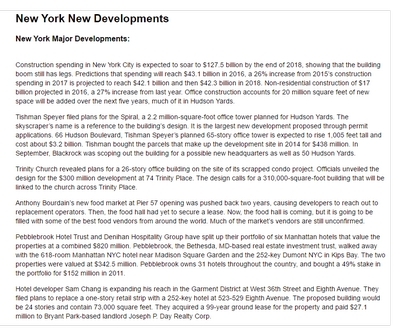 In addition, SL Green said that office rents are projected to be down 25%. What this means to office and retail tenants is that there are deals/bargains to be had from motivated Landlords, provided that you are guided by an expert to help you get all these concessions. 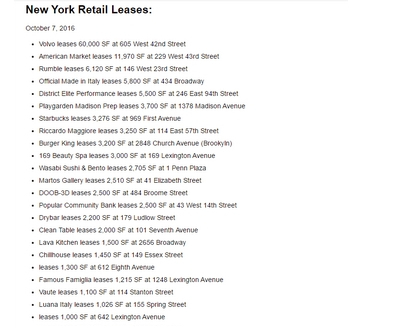 Consumer spending is down and an increasing number of stores are asking for reductions and deferments on their rents. Requests for rent breaks are creating problems for landlords because it's difficult to figure out which retailers really need a break and which ones are simply taking advantage of the new dynamics in the market. 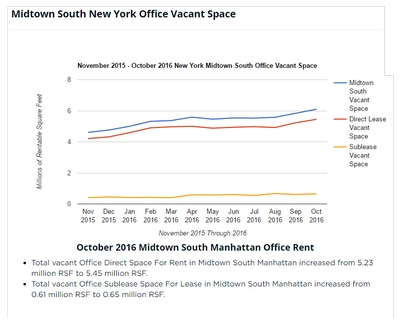 Midtown office space leased in December was 60% lower than the average volume of square feet leased the same month over the past six years. 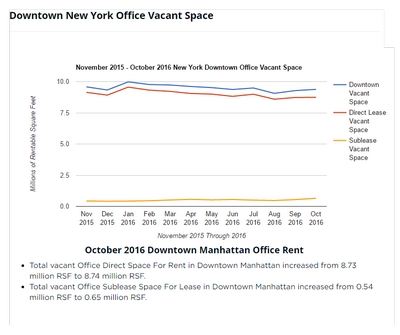 There was just 550,000 square feet leased in December in Midtown, far off the December average of 1.38 million square feet. 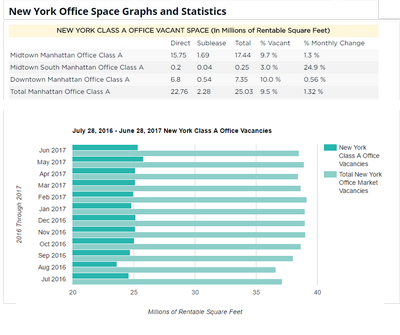 Between July and December of 2008, sublease space in Manhattan rose to 11.2 million square feet from 7.2 million square feet. 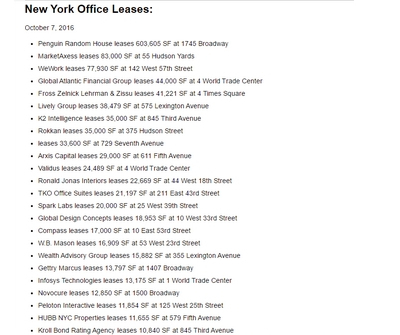 Although the financial services industry is the biggest contributor to the sublease pool, firms are also taking some of the space. Many stores are trying to negotiate lower rents with their landlords. Office Depot is closing 112 of its 1,275 stores, and is haggling with landlords to lower rent in the ones that remain. 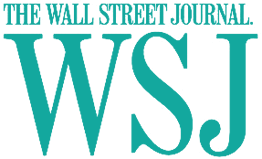 Women's retailer Chico's has hired a consultant to renegotiate, renew or end 340 of its leases coming due in 2011. Furniture store, Pier 1 Imports, is seeking to lower lease rates on the 200 leases it has coming up for renewal in the next year. Borders at 2 Penn Plaza are asking for permanent or temporary rent reductions through deferred payments, lower payments or leases based on a percentage of retail sales. 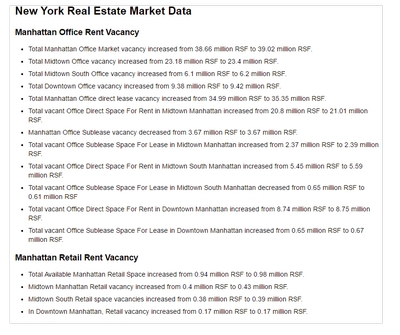 Most national chains have a rent reduction program that may affect metro New York real estate. Tenants and landlords are negotiating over a spectrum of options that include: not paying rent in a given month to rent deferments of up to 20 percent. In the deferment cases, the amount saved would be tacked on to future years. 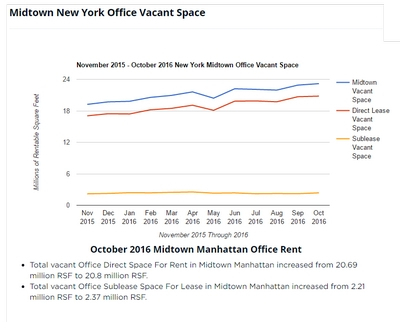 The amount of space taken by tenants signing lease renewals in Midtown jumped, in 2008, to more than a third of the total space leased. 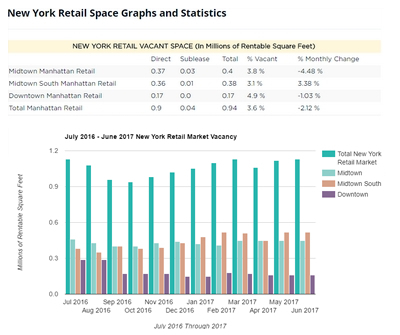 While the total leasing velocity in the Midtown market was down 26% to 15.5 million square feet, firms renewing their leases comprised 37% of the market, up from 20% in 2007. This trend is to continue in 2009 as firms become even more reluctant to spend money on moving and build-out expenses. 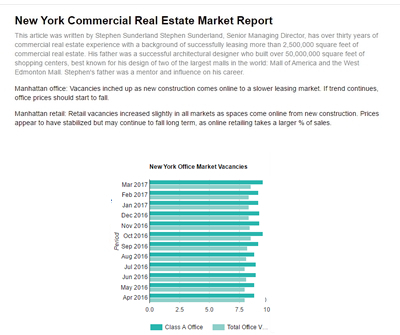 Midtown Class A office asking rents suffered their steepest declines last month as the financial firms which dominate the area continued to shed space. 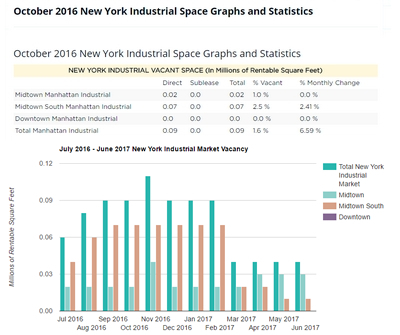 The average price in newer Midtown buildings fell by $6.34 per square foot to $82.11 per square foot from November to December. 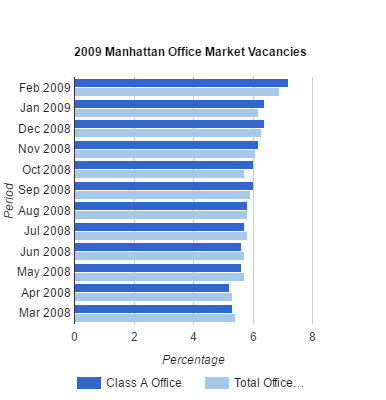 Midtown continued to take a drubbing in December.